and we’ve got some awesome freebies for you! Today, August 1st, the Emblazon group of tween writers is offering numerous eBooks for free. Help yourself to as many as you’d like! Go to our Sizzlin’ Summer Freebies HERE and get ’em while they’re hot! Do you enjoy audiobooks? Do you like Whispersync? If so, you might be interested in getting Whispersync for Curse of the Double Digits at the discount rate of $1.99 when you download the free eBook today, available on Amazon. Although the group promo is for today only, Curse of the Double Digits will also be FREE tomorrow, Friday, August 2nd. Please tell your friends about today’s Sizzlin’ Summer Freebies so they can get some eBooks for their kids, too. If you know of any teachers or homeschoolers who use audiobooks so their students can listen and read along with eBooks or paperbacks, please give them a heads up. Today and tomorrow, they can get both the eBook and Whispersync (audio) of Curse of the Double Digits for $1.99. Free eBook and discounted Whispersync, how cool is that? 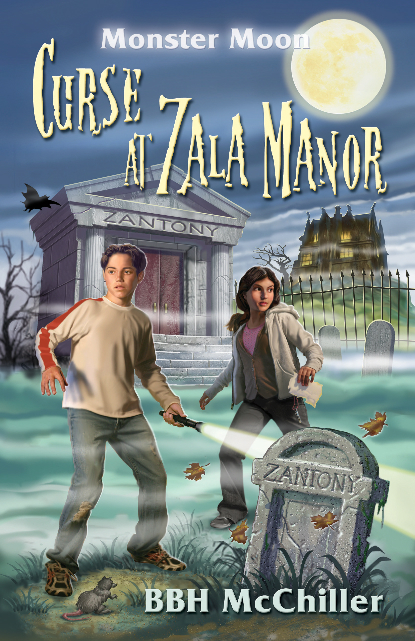 Also included in today’s Sizzlin’ Summer Freebies is Curse at Zala Manor, Book 1 in the fun, spooky Monster Moon mystery series. Hop on over to the Emblazon site’s Sizzlin’ Summer Freebies page and load up on some great eBooks. Again, this is our gift to you to celebrate the kick-off of Emblazon’s new website for tweens. Woot! Don’t you just love a good deal? Me, too! Doing a Happy Dance here! This entry was posted in Books, Kids and tagged audiobooks, Curse at Zala Manor, Curse of the Double Digits, Emblazon, free eBooks, freebies, Kidlit, kids books, tweens, Whispersync discount. Bookmark the permalink. You’re so cool! Love you bestie!